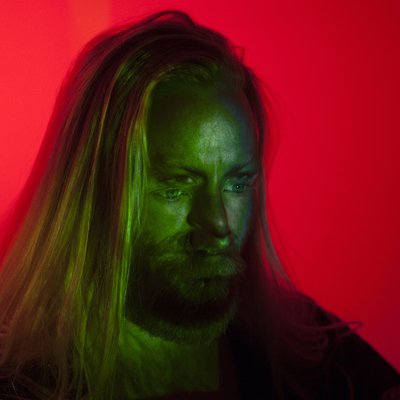 In his native Iceland, Högni Egilsson is one of the best known contemporary singers and songwriters. Importantly and interestingly, his music and performance style is equally loved by music aficionados and less serious, commercially inclined listeners. Growing up, Högni learned to play the violin, but it was only in his late teens that he taught himself how to play the guitar and developed an interest in performing and writing pop songs. Mastery of the piano soon followed and complemented an extended course in improvisation and the harmonies of jazz, while a long stint in his high-school choir helped train his voice. Before enrolling in composition at the Iceland Academy of the Arts at 21, Högni was already known as an extremely talented musician among his peers. With the 2007 release of Sleepdrunk Seasons, the debut album by Hjaltalín - an indie rock group fronted by Högni (also known from Ólafur Arnalds' Late Night Tales) - that notion went national and within months his voice and compositions were seemingly everywhere in Iceland; on television, on the radio and on stages around the country. Still, Hjaltalín’s second album Terminal (2009) proved a much bigger hit - winning ‘album of the year’ at the Icelandic Music Awards and its five singles spending a combined 44 weeks on the National Radio’s Top 20. If Terminal is Hjaltalín’s most popular set of songs yet, 2012’s Enter 4 marks the height of their critical acclaim. It is a sparer and darker album and without a doubt Hjaltalín’s best. A chance encounter that revealed a shared interest in sailing brought Högni and President Bongo from the famed electronic group GusGus together. By 2011 Högni was a full-time member of the band and featured prominently on Arabian Horse - by many considered Gusgus’s finest album to date. His voice and fingerprints are all over Mexico (2014) as well, not least in lead single Obnoxiosly Sexual. With Gusgus, Högni has toured extensively in Europe and North America, gaining a strong personal following, particularly in Eastern Europe. While fronting two touring bands, Högni has made time to score numerous theatre pieces, most notably The Heart of Robin Hood (dir. Gísli Gardarsson), staged by The Royal Shakespeare Company in 2011 and Angels of the Universe (dir. Thorleifur Örn Arnarsson), the Icelandic National Theatre’s 2013 adaptation of a well-known and loved novel and film of the same title. He has also written music for film and television, including a well-received score for short film Víkingar (dir. Magali Magistry, 2013) which won the Golden Rail award and was nominated for the Discovery award, both at the Cannes Film Festival. October 20th 2017 will see Högni release his solo debut album Two Trains as the newest addition to Erased Tapes.